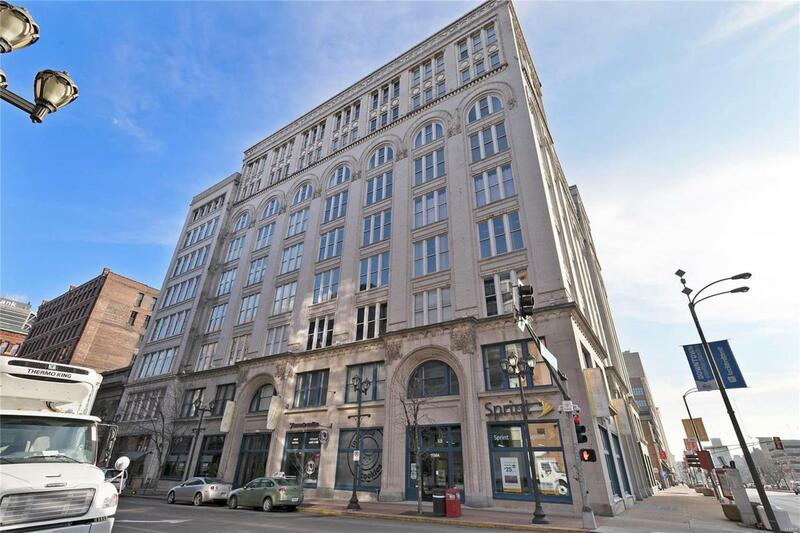 Seller to offer $2K Painting Credit with accepted contract - Corner Penthouse level loft with brilliant light and sweeping panoramic views of Downtown Saint Louis! 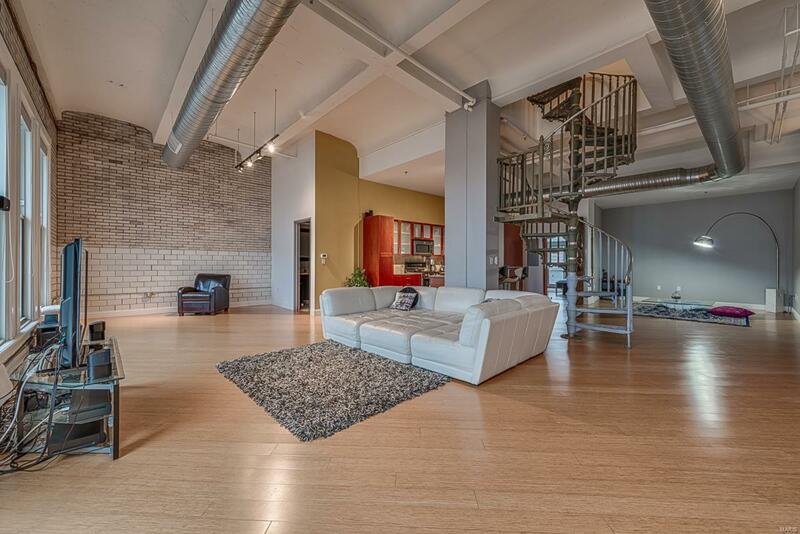 Floor-to-ceiling large windows and exposed duct-work provide the ultimate downtown loft experience you have been looking for! 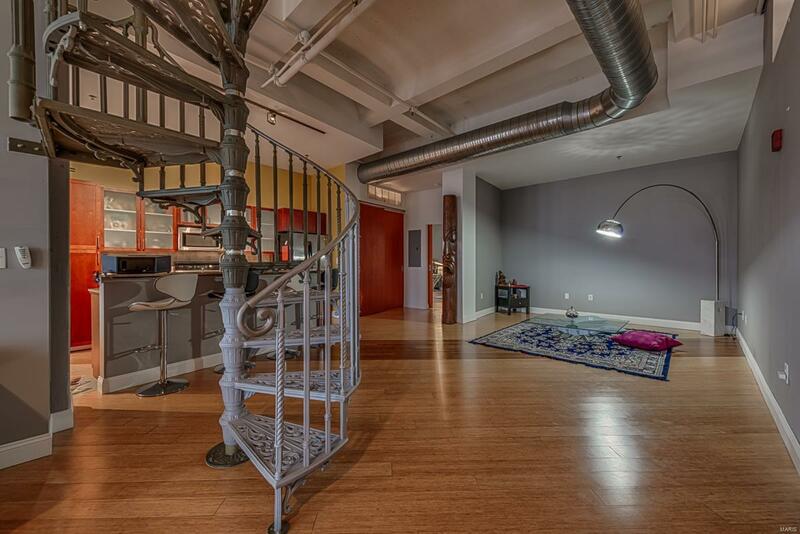 This one of a kind loft offers 2,222 sq/ft with 2 beds and 2 full baths. Start your morning right with gorgeous views of the city in this updated kitchen with cherry cabinetry & frosted doors, granite counter-tops & breakfast bar island. Opens to spacious dining and living area, ideal for hosting a dinner or cocktail party with friends. Spacious master suite w/walk in closet features french doors that overlook the courtyard. The spiral staircase that leads to a private rooftop deck is a dream! Includes private washer & dryer, stainless steel appliances & tandem parking in basement garage. 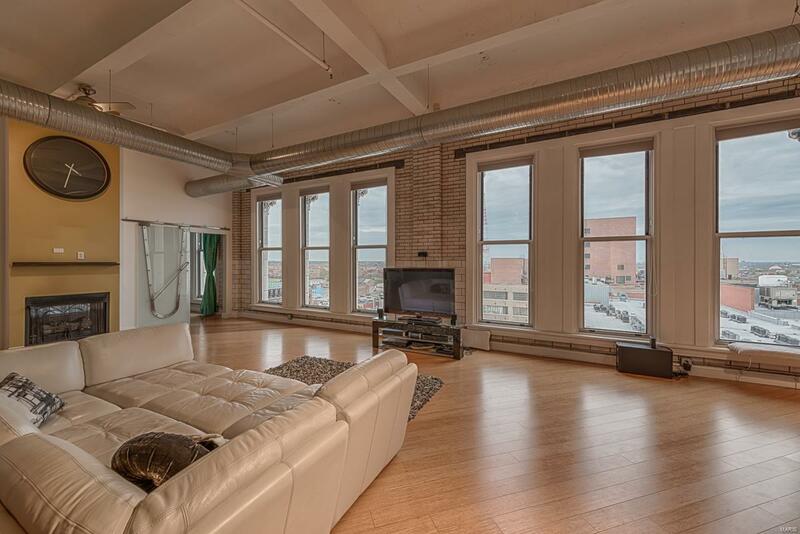 This airy penthouse w/flooding light is steps away from restaurants, bars, entertainment & public transportation!